Ambling in on big, squidgy feet, it’s Nelly Elly Blue! 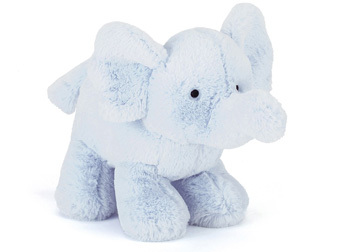 Baby-friendly in soft, pastel fur, this funky trunkster has the cuddliest ears! Newborns can nuzzle that fuzzy coat and fall asleep on a squishy blue cloud. A wonderful gift for welcoming a newborn.